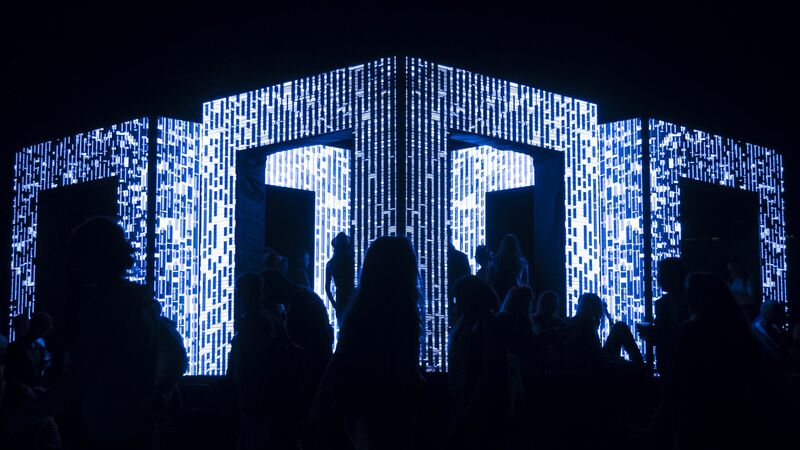 The basis for this impressive structure created by Kit Webster is more than 700,000 LED lights. 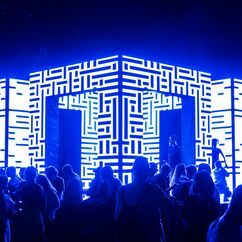 It consists of three symmetrically half-built gates which at the same time serve as a projection screen for a series of animations. 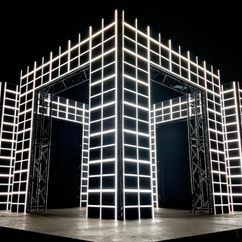 By using minimalist video sequences, Webster creates uncertainty among viewers as to what they are looking at – what really stands in front of them, and what is just a virtual projection. 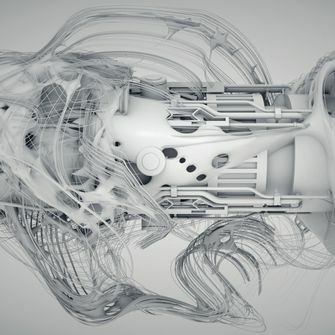 Animations are synchronised with almost hypnotic audio. 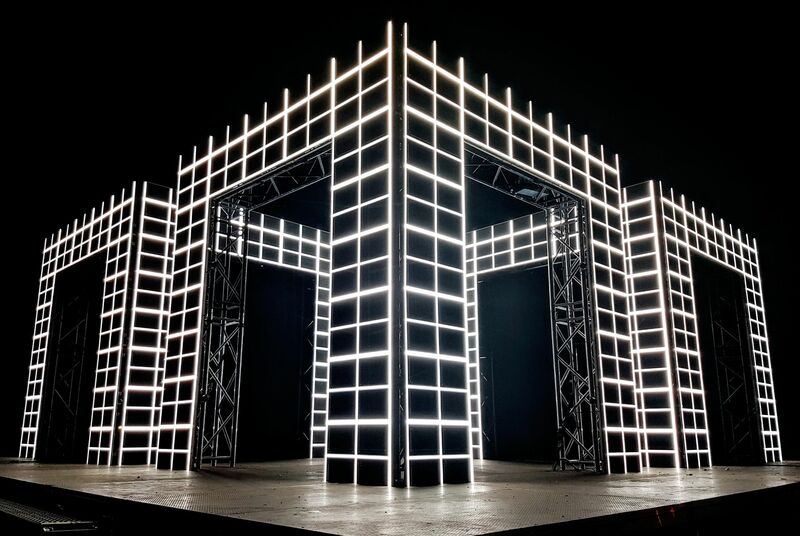 Light, sound, space and time. These are four elements on which the Axiom installation is based. 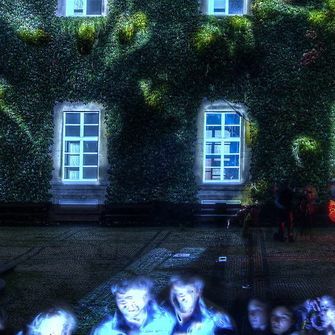 It uses them, explores their mutual interactions and transforms them directly in front of the viewers’ eyes. 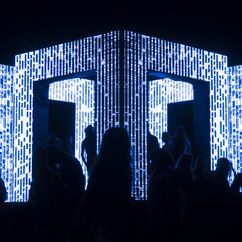 Walk through the light gates and experience yourselves what top technologies can do with your senses in the hands of a talented artist. 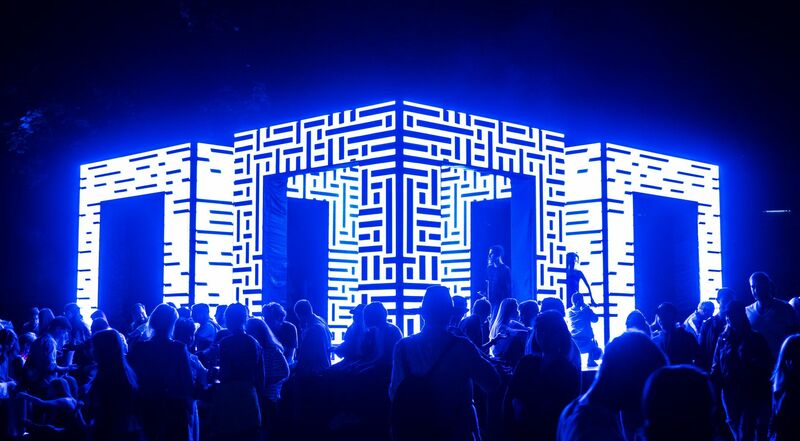 During its five-year existence, the SIGNAL Festival has become an essential part of the autumn Prague. 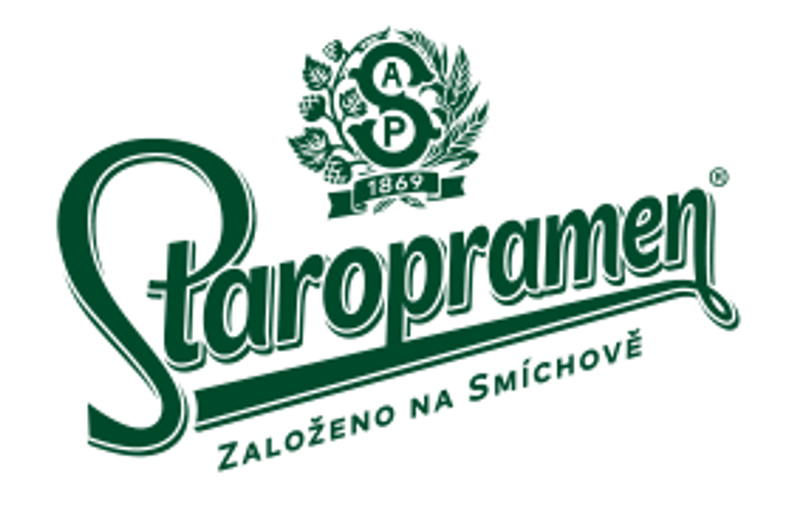 The Staropramen brand has been an integral part of Prague, particularly of Smíchov, for 150 years. 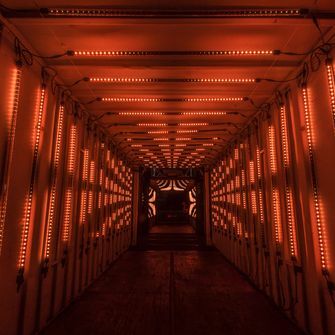 Therefore, it should not be missing at the light event of the year. We believe that for the lovers of good beer, a glass of cool draft beer is as extraordinary as this magnificent celebration of light.